The show’s about to start. And what a show we have for you! We have Punch! We have Judy! We have a selection of crocodiles, judges, police and even a baby! You will be astounded! You will be entertained, amused and generally glad you got up in the morning. Two big days of performances. Tell your friends. Tell your family. Tell random people you see in the street. 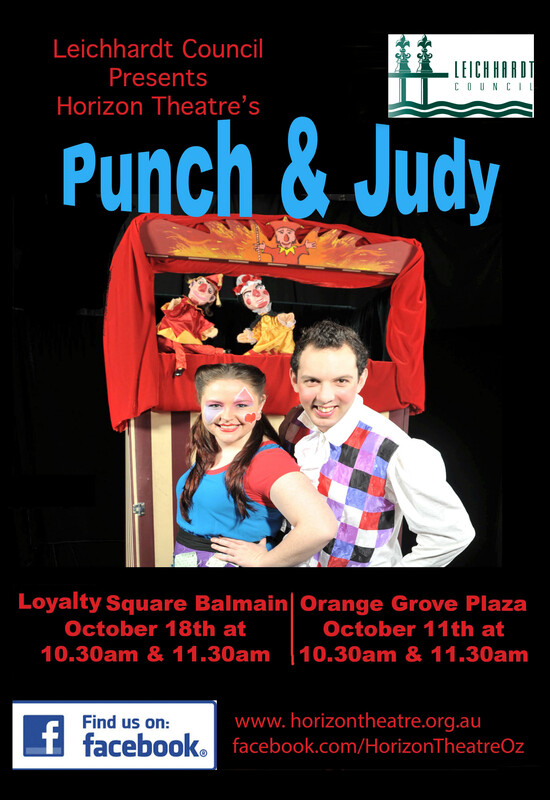 2 shows happening in October thanks to Leichhardt Council. Harlequin and Columbine introduce the show.